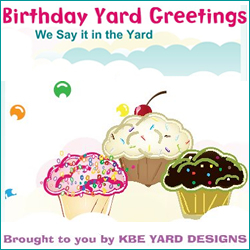 Yard Greetings or Lawn Signs are a great way to celebrate! From birth announcements, graduations, birthdays, to over-the-hill surprises, family reunions, and company picnics. We have balloons, cupcakes, cows, flamingos, graduation smileys, hotdogs, smiley faces, storks, tombstones and we are adding more all the time.